One of the first parks to be built in Russia was the Alexander Garden, over Neglinnaya River. It is following the entire length of Kremlin's western wall, more then 800 metres. 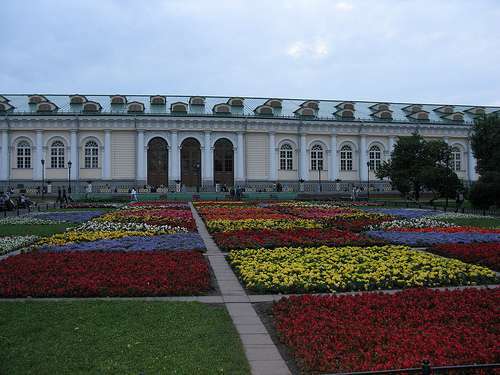 The Alexander Garden was one of the first public parks in Russia, built in 1823, by Osip Bove. The construction was ordered by Tsar Alexander I after Napoleonic Wars. The garden has three levels, the Upper, Middle and Lower Gardens. The Upper Gardens are the one most visited part. The main entrance goes through the Tomb of the Unknown Solider, where an eternal flame from Field of Mars in Leningrad is burning. There is also a faux ruined grotto beneath the Middle Arsenal Tower. The middle garden has an entrance straight from the Moscow Metro. 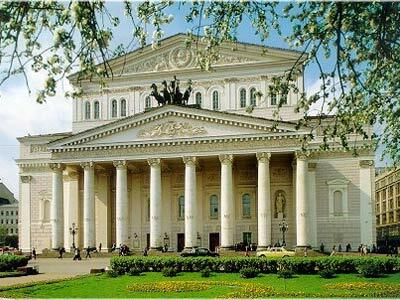 The Bolshoi Theatre is one of the world's oldest and most famous ballet and opera venues. It was built by Joseph Bové in 1825. Since that time, the theatre has been rebuilt and renovated several times. It's last re-opening was in 2001, after six years of renovation. The theater have hosted several historical premieres like The Voyevoda and Mazeppa by Tchaikovsky and Aleko by Rachmaninoff. It is also the parent company of The Bolshoi Ballet Academy, which is one of the world's leading ballet schools. Well renowned opera stars that has performed at the teatre include Feodor Chaliapin, Leonid Sobinov and Antonina Nezhdanova. 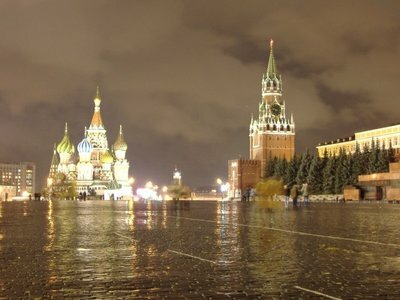 Surrounded by significant buildings such as Saint Basil's Chatedral and Lenin's Mausoleum, the Red Square is considered the central point of Moscow, and also the entire Russia. It was originally Moscow's leading marketplace, but throughout history it has become more important as a ceremonial venue. It was occationally used for coronation of Russia's Tsars. Later it has also been used by all of Russia's governments for ceremonial purposes. 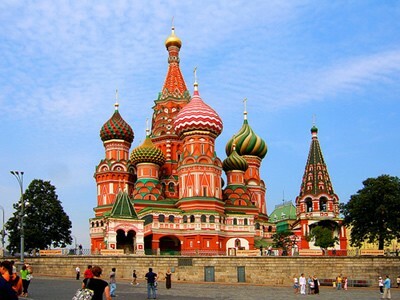 Saint Basil's Cathedral is a Russian Orthodox church, built on the Red Square in Moscow. The name is derived from Vasil the Blessed. He died during the construction of the church, and was buried on the site. When the church was consecrated in 1561 it was known as the Trinity Church. Later the official Russian name of the church became Church of Intercession on the Moat, while Temple of Basil the Blessed was generally accepted. Even though the western translation of the name suggest otherwise, the church is not actually a cathedral. The church's arcitecture is inspired by Byzantine tradition, which makes it unique in Russia. No other building from the millennium has similar architecture within the Russian borders. It is not known who the arcithects were. During it's time it has been more or less rebuilt several times. The last major renovation was completed in 2008.